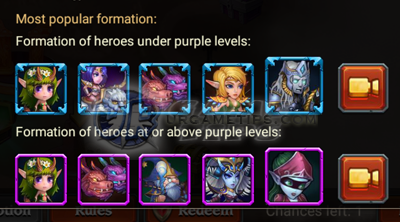 Here's a game guide on how to create or build up the best Arena, Crusade or Raid teams that will fit the mobile gaming style of every player in the thrilling action RPG mobile game - Heroes Charge. Choose 1 of the recommended formats below (I recommend the general format), then select your target team members or check which heroes you have available. - Damage takers or absorbers. Ideally placed in the front lines (some central heroes can Tank too). - Their main objective is to stay alive as long as possible. - Stands for Damage per Second/Strike. - Damage dealers or nukers. 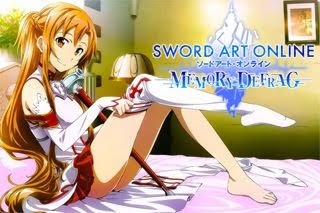 - I'll call them debuff specialists, heroes that can immobilize enemies and render them useless. 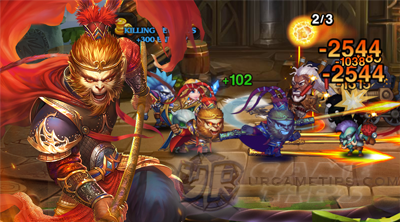 - Heroes with Stun, Silence, Sleep, Freeze, Exile or other similar skills. - Heroes that can "Buff" your Hero's or Team's Stats, and Heroes that can Heal. - Front, Central, or Back Heroes, depending on the Hero's natural position. 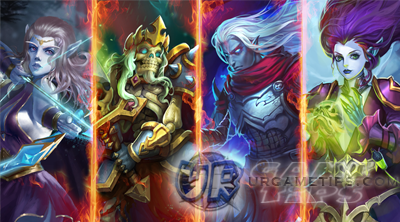 - Here's some most commonly used team formats, even Arena top ranked players use them. - Here's the most commonly used hero positioning. You can do your own too, just follow the the general format above. - Here you'll see that I used 2 front liners, but it's ok because 1 of them is a DPS type. - If you want to use 3 DPS heroes, it's ok as long that you have at least 1 Control or 1 Support hero to cover your team. - Also known as glass cannon build, yeah they can do lots of damage, but the problem is, if your opponent has a nice Control Hero, you're dead. Chances are, you won't even be able to cast most of your Hero Ultis. - The problem here is, your Team's DPS output will weaken, and most of the time you'll even lose your 1st or 2 tanks first, before you can take down your enemy's tank. How? One reason is because AOE attacks (or splash damages) are area based, and those 2 tanks will always take damage at the same time. - There are some exceptions here though, but I only suggest this for experienced players, for newbies, kindly use the simpler ones for now. Is it ok to use 2 Control or 2 Support Heroes? - Yes, but make sure your team has a good synergy. How Many Teams Should I Create? - This game is similar to a card game, you can't win or progress smoothly by only using 5 or 7 cards, collect more cards for different purposes. - This is also a game of rock-paper-scissors, so creating 2 teams is enough to keep your pace in the arena for example. Go for 1 Physical Team and 1 Magic based team. - Depending on your resources, stick to your 2 teams or create another one for Grand Arena teams. When is it ok to use 2 Tanks? - Once you are near or at Lvl 90, tanks will become harder, thus it will make battles much longer than usual. They actually call the 2nd tank as off-tanks, still requires a nice team synergy though. - Possible but only at higher levels, Lvl 90 for example where Legendary skills are available. 2 tanks (1 or 2 heroes that can heal), 2 support, and 1 DPS for example. Arena - Hero Selection Guide NEW! Recommended Heroes for Normal and Hard Crusades NEW!